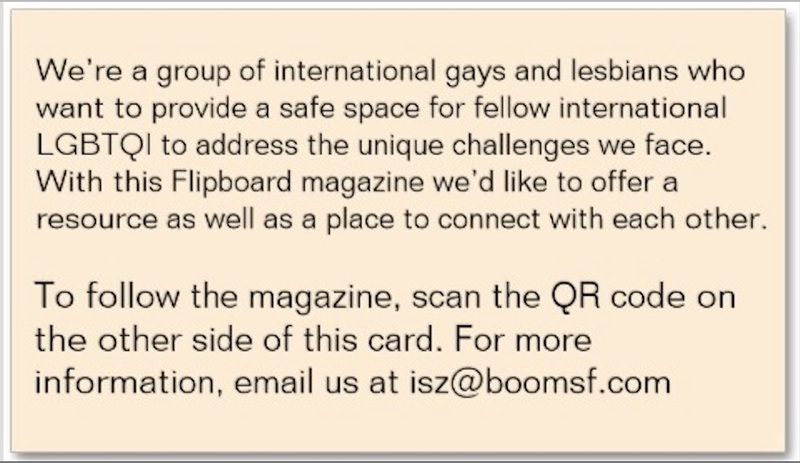 International lesbian, gay, bisexual, transgender (LGBT) students often face issues with internalized homophobia, fear of persecution upon repatriation, and finding a supportive community, in addition to the challenges all international students experience. On campuses, neither LGBT support groups nor international student organizations offer culturally sensitive support. Hence, they often remain invisible. 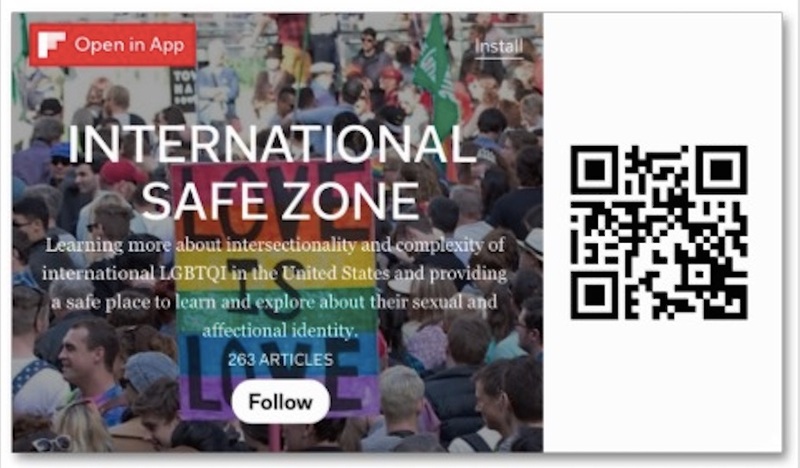 By curating a Flipboard magazine, we created a virtual safe space and a resource to support the meaning making process of these students' sexual and affectional identity.